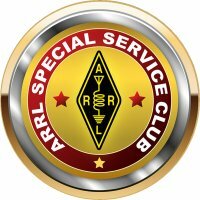 Among amateur radio clubs in Western Washington, the Radio Club of Tacoma is distinguished by the fact that it owns property purchased in 1957. The property consists of a two story house, the "Clubhouse", and an adjacent lot used for parking, outdoor socializing in warm weather, antenna testing, and mobile and portable radio demonstrations. Please remember to use the Club's off-street parking area on the North side of the Clubhouse whenever the gate is open. Not a member? No problem! It's easy to join - see the Membership page for info.